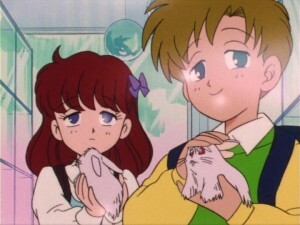 Episode 5, Scent of a Monster: Chanela Will Steal Your Love, has tensions grow between Shingo and Luna, who is integrating herself into the Tsukino family as a pet, as the Chanela appear in town. Shingo and his friend Mika, along with many other children, are hypnotized by the Chanela who are actually a plot by the Dark Kingdom. One has to wonder if the Chanela themselves were actually innocent creatures with autonomy created as part of this plot and discarded afterwards or if they were just mindless tools. This episode features an interesting twist as Usagi, disguised as Sailor Moon, hides her face from Shingo fearing he might recognize her. 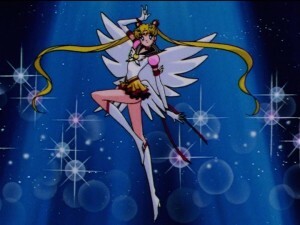 Later in the series Usagi’s transformed self is never recognized by anyone. 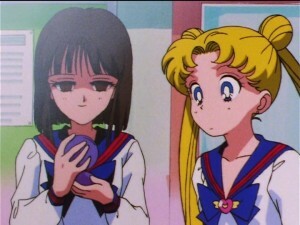 Perhaps Usagi, new to her powers, simply didn’t realize this was the case so early in the show. 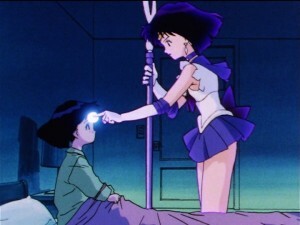 The 5th and 6th episodes of Sailor Moon are now available subbed and streaming on Hulu. As was mentioned previously by Viz, who has acquired the rights to the series, two new episodes will be released every Monday! 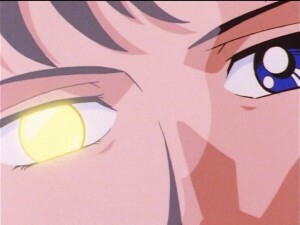 This week includes two new episodes which were previously not dubbed into English. For many nostalgic fans this is a great chance to check out these episodes for the first time! Episode 5, Scent of a Monster: Chanela Will Steal Your Love has tensions grow between Shingo and Luna, who is integrating herself into the Tsukino family as a pet, as the Chanela appear in town. Shingo and his friend Mika, along with many other children, are hypnotized by the Chanela who are actually a plot by the Dark Kingdom. One has to wonder if the Chanela themselves were actually innocent creatures with autonomy created as part of this plot and discarded afterwards or if they were just mindless tools. 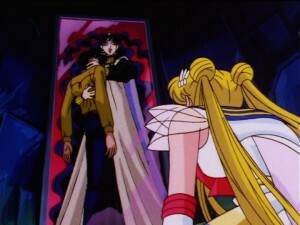 This episode features an interesting twist as Usagi, disguised as Sailor Moon, hides her face from Shingo fearing he might recognize her. 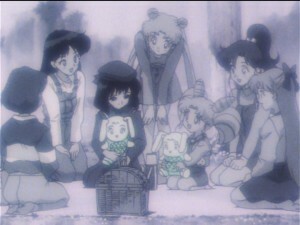 Later in the series Usagi’s transformed self is never recognized by anyone. 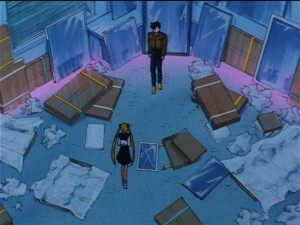 Perhaps Usagi, new to her powers, simply didn’t realize this was the case so early in the show. 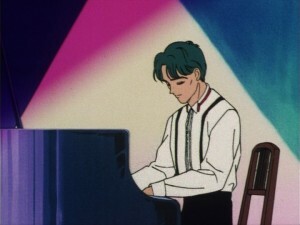 Episode 6, Protect the Melody of Love: Usagi Plays Cupid, has Usagi befriending a jazz musician Yusuke Amade, whose music is being used by the Dark Kingdom in order to collect energy. 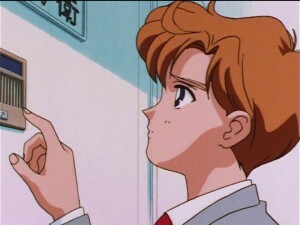 Usagi plays cupid in that she gives him advise on how to win over Akiko who he’s interested in. 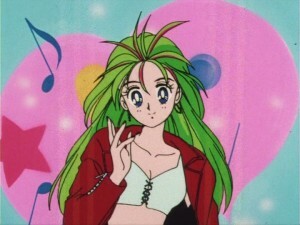 Usagi uses her transformation pen to get into a club and in doing so sports a punky looking green hair style.